Spread over 49 square miles, San Francisco is home to world-renowned icons such as the Golden Gate Bridge, Alcatraz Island, Painted Ladies (colourful Victorian houses), the most crooked street in the world (Lombard Street), and historic cable cars. One could be easily mistaken thinking San Francisco is for grown-ups. Grown-ups with lots of cash. But that would be a deep deception, because I’ve discovered San Francisco is brimming with loads of fun, affordable activities and attractions for family vacations. Here are 17 unique things to do in San Francisco with kids that won’t break your budget. Arguably, this is the world’s most photographed bridge. It’s widely recognised as an engineering wonder of the modern world and all ages will instantly fall in love. Whether you bike over it, ride the open-air hop-on-hop-off-bus over it, or even sail under it. Every vantage point is a breathtaking experience. Just make sure you have the camera ready. San Francisco is dotted with dozens of spectacular parks. Take the kids to the 1,017-acre Golden Gate Park and discover playgrounds, gardens, lakes and hiking trails. Or head to our favourite, the Palace of Fine Arts – another iconic location that is one of the most photographed sites in the city. It’s a beautiful spot for a safe walk (or run) with the kids, and they will love hiding around the breathtaking Greco-Roman inspired Rotunda and colonnades. And for a little adult fun, check out The Hunger Games exhibition! One of our favourite ways to see a new city is by open-top tour bus. The freedom to get on and off all day is a bonus. Because if your kids still nap, then you can continue sightseeing while they sleep comfortably in the bus. 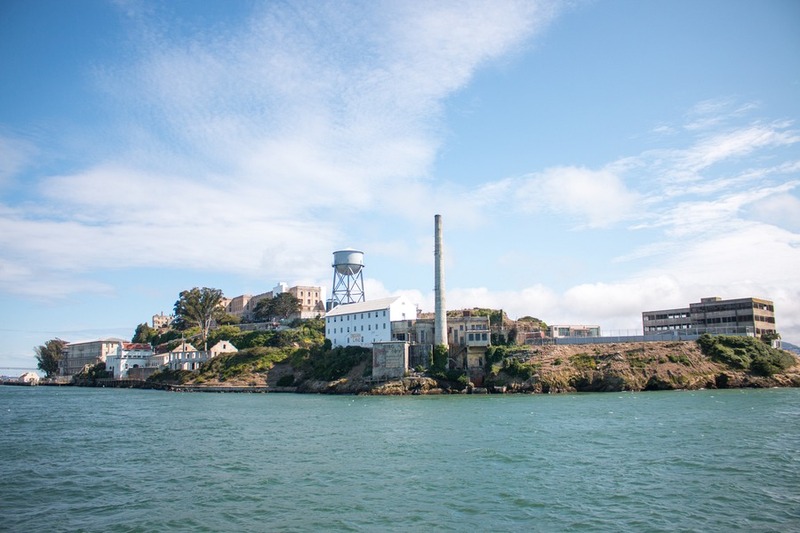 Take a ferry from Pier 33 over to the infamous Alcatraz Island located in the San Francisco Bay, home to the landmark abandoned prison. Kids might not appreciate the historic significance, but stories about escape attempts are sure to get their attention. If not, you could always lock them up (just kidding!). Tip: I recommend using the San Francisco CityPASS to save 53% off regular entry prices for 5 popular attractions. For a more luxurious experience, take a sunset cruise under the Golden Gate Bridge with Adventure Cat. Or a budget-friendly alternative is the Blue & Gold Fleet cruise (included with the CityPASS) or Red & White Fleet cruise. Maybe pack some seasickness tablets, just in case. At first thought, jumping onto a tram and hanging out the door might not be your idea of fun for your kids, but they are going to love it. The cable car system in San Francisco is the world’s last manually operated cable car system. And it sure beats walking up the steep hills! This renowned street has the reputation as the most crooked street in the world, famous for a steep, one-block section with 8 hairpin turns. Driving down is fun, as is walking down. Take it slow and make sure the kids keep the windows down from top to bottom to take in the beautiful fragrant flowers. If you haven’t been to one of these “odditoriums” yet, then you must. Filled with untold strange knickknacks and stories from around world - Ripley was an avid collector of everything weird and wonderful. Kids will love the interactive exhibits and hair-raising facts. 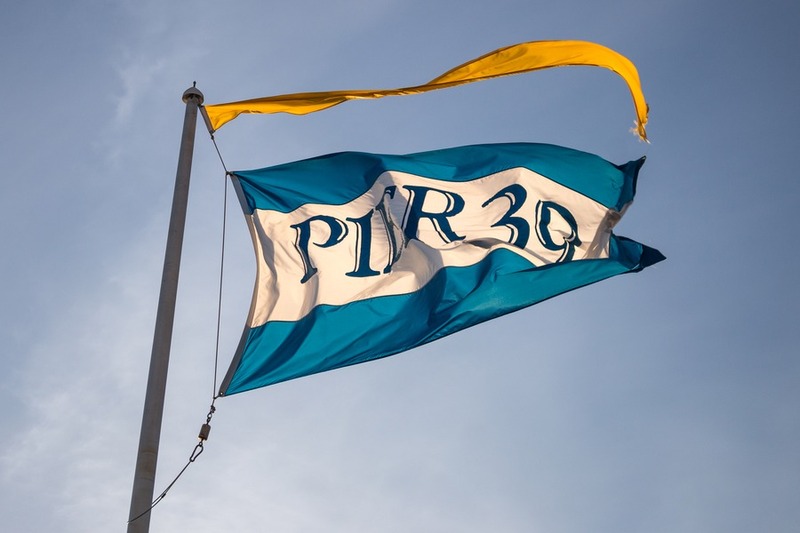 Pier 39 might be light-hearted and touristy, but kids love it. There is so much to do. Try the 7D cinematic experience or test your skills on a laser game. An evening ride on the carousel under a glittering night sky, will be moment to remember forever. And if that’s too much lights and glitz then head to the west side of Pier 39 to enjoy nature’s very own show. Sea lions barking, fighting, pushing and playing with each other. Tons of them. 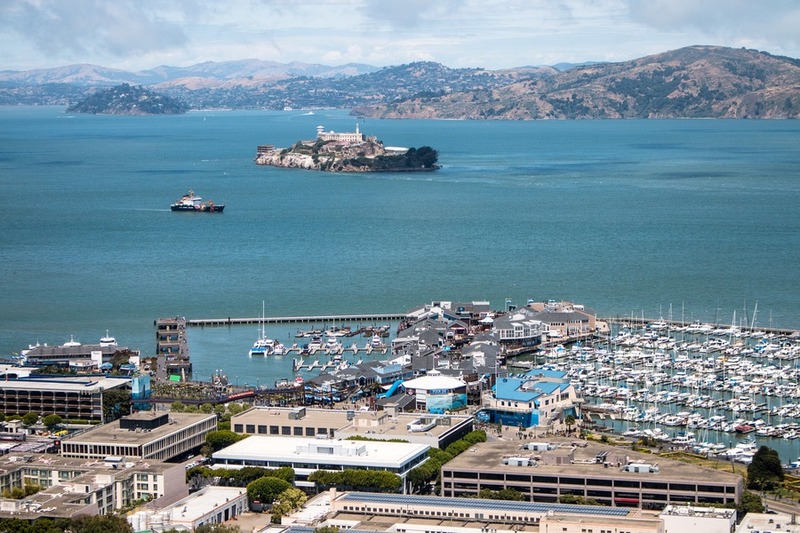 This is not just a great place to eat on Pier 39, but home to San Francisco’s only waterfront tiki bar and the perfect entertainment venue for the whole family. Our kids relished over 85 arcade games, while we got to chill by the tiki bar sipping cocktails and watching the sunset sky over Alcatraz Island. Our kids loved it so much, they begged to go back the following night. While you are touring around San Francisco include a short stop at Lucasfilm - it’s a functioning production campus so you can’t see much and you just have to tell the guard upon entry that you are here to seek Yoda. He’s not hard to find and even a 5-minute stop will have the kids squealing when they spot the fountain featuring this Jedi master. For only $8 for adults, and $2 for children, visitors can soak up the best 360-degree panoramic views of San Francisco. Golden Gate Bridge, Alcatraz Island, Pier 39, Lombard Street, Oakland Bay Bridge, and the Financial District’s skyscrapers. Tip: We stayed at Hotel Griffon during our stay in San Francisco. Big rooms and central enough to easily walk around town. Check latest prices here. Can’t wait to explore this world of science, art and human perception. On the edge of Pier 39 is this spectacular aquarium focusing on local aquatic animals from the San Francisco Bay. We loved London, New York, and Chicago’s natural history museums, so why not San Francisco? It’s one of the largest in the world, housing over 26 million specimens. We had this on our list for our recent visit but ran out of time. This museum features the life and legacy of the legendary Walt Disney. I’m told you can spend hours here. 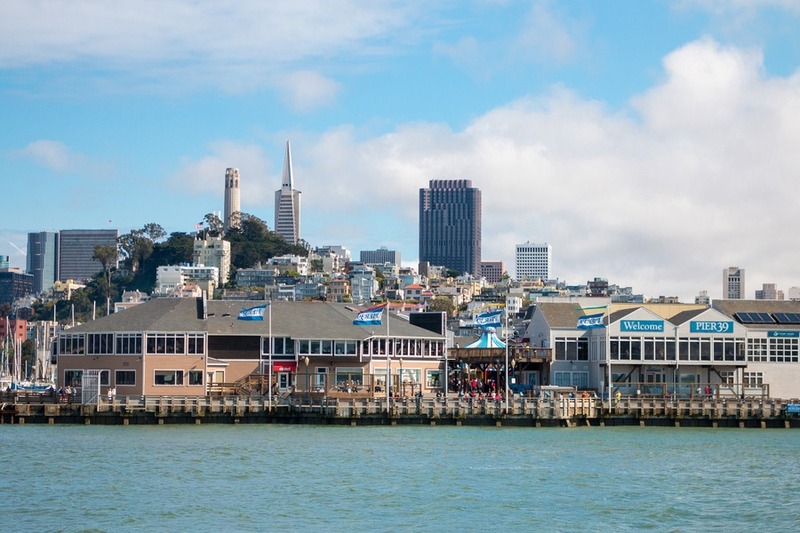 What are your favourite family-friendly attractions and activities in San Francisco? We honeymooned in SFO and in addition to some of your mentions, we loved Chinatown (so many quirky shops), ate at this awesome sushi restaurant where the sushi comes around the circular bar on little boats, and of course seeing a ballgame at At&T park. Perfect timing, we're going there with the kids in few days! We were there in March. When we bought tickets for the double decker bus it included passes for aquarium and Madam Tussauds. Not really things we would have gone out of our way to see. But we had a bit of time spare and the kids loved both. They loved getting a teddy bear loaf of bread at the big bakery at fisherman's wharf. Great list! On my recent roadtrip, I visited the Exploratorium and I am pretty sure it is just the best interactive science museum on this planet. There is so much to do, even for a 50-year old "kid":-), so I really recommend it!